It's the New Year, so I am refocusing my efforts toward running Frugal Follies to help all of my readers learn more about couponing, freebies, easy and cheap recipes, and money-saving tips. But I'm also blogging to earn extra money to help my family! So I was really interested in learning more about The $10,000 Money Making Mama Challenge from Stay a Stay at Home Mom! I've signed up; learn more about it here, and enter for a chance to win $100 in PayPal cash and 3 helpful e-books! If you're not a Mama, you can still sign up for the challenge - all are welcome! Please leave a comment after you've entered - I'd appreciate it! Stay a Stay at Home Mom is proud to present the New Year - New You Giveaway. It's 2013! Time for a new start, and that's just what the New Year - New You Giveaway is designed to give you; a new start. To kick-start your money making efforts, the New Year-New You Giveaway will reward one lucky viewer with the tools needed to start (or excel) a home based business. This training package takes home party consultants through the process of setting up a booking system that works. Includes training eBook, templates, and BONUS Party Games eBook. Learn how to date more parties and increase your income as a home party plan company representative. This two-part template kit has hundreds of home party game ideas, instructions, and templates. All the work is done in advance for direct sales consultants; just open the files and print the games you plan to include. No prep work required. The Giveaway Strategy: Build Your Fan Base and Your Following - FAST! Are you struggling with trying to crack the code to build a large following on your social media pages? What would it feel like to gain dozens of new fans each day? Learn how to increase your followers and fans and significantly boost your website visitors by implementing giveaways. Ready to win? Enter the Rafflecopter Below. Runs now until the stroke of midnight, January 26th. Oh, and really, you can spend your $100 Paypal cash on anything you desire; you don't have to start a business, so don't feel you can't enter if you would rather have it go towards bills or a nice dinner out with your honey. The participating bloggers were not compensated for this post. We are not associated with any of the companies in this giveaway. No purchase is necessary to enter. Void where prohibited by law. The odds of winning are based on the number of entries received. This promotion is no way sponsored, endorsed or administered by, or associated with, Facebook, and is compliant with Facebook TOS. We hereby release Facebook of any liability. To qualify to win, you must fill out the Rafflecopter entry. Must be aged 18+ to enter and win. See Rafflecopter for complete eligibility requirements. The $10,000 Money Making Mama Challenge looks so promising. And the grand prize is such a plus. I would like to join in but I'm not a Mama. I'm working on setting up my new online fasion retail business so the cash would be a huge help! I am not in business but would like to start a business. That is what I will do if I win the $100 start up cash. Thanks. @Connor - It's okay, non-Mamas are welcome, too! Yes, I am in business for myself. I have a small home business sewing modest, feminine clothing for girls (and women). I do a lot of custom work, but I also have some ready made items in my Joyfully Sewn Designs shop on Etsy and Artfire. I'm not in business yet...but the wheels are always turning. :) This would help with website costs and help buy more research/business materials. I'm not in business yet, but am looking into starting some sort of home business. I'm not in business for myself and I'd probably use this to get caught up on a bill. not in business.. I would use it to save some money for the future. I would use it to get my blog up and running and start doing previews and giveaways! Are you in business for yourself? Tell us about it! Not in business yet? 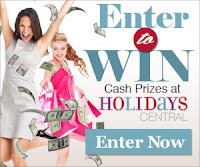 What would you like to do with the $100 start-up cash if you win? I am not in business. I will buy a bday present with the $$. I used to do jewelry design and sales. Wish I could do that again. If I win the cash, I'll use it to purchase books to sell online. What a wonderful contest! This could get interesting. I am not in business yet -- unsure what I would want to do with it yet??? I plan to start selling pampered chef products this year!!! I own three websites, and am also a freelance writer, specialising mostly in web content. This year, I need to take my websites to the next level, traffic-wise, so that they make a full-time income, rather than part-time. Actually, on January 11th I will be 65 years old, and when I win the $100 I will treat myself and my sister to manicures and pedicures to make sure we are pretty in 2013 ! I'd love to start a homemade soaps business. I'd love to have a business dealing with my passion, trading cards. I am not currently in business for myself, but I would love to do something with my vegan baking on etsy. I'd love to get back into the gift basket business. I am an Independent consultant for Perfectly Posh and this would help me out in my business plans. Not in business yet, but I'd use the money to buy a dress form so I can begin selling vintage clothing! I would spend the money on some of my college related expenses such as books and rent. I used to run my own business reselling handmade and vintage clothing. I'd use the money to start another business, I miss being my own boss. I am not in my own business ....yet. But, I would sure like to work for myself and run my own schedule! I need this cash to start my life in the right way. No. I would use it for a present. I'm not in business but my mother-in-law has been making custom aprons for family members and I would love to help her expand that hobby into a small business. I am a Single Mama and am already in the The $10,000 Money Making Mama Challenge. I'd like to invest the $100 on proven mommy business start-up that would let me stay home with my 5-year old and not worry about unemployment or past-due bills. The money would go towards buying a better theme to be used on a couple of my sites. They're not professional enough to take them where I want them to go. I sell books online so I would invest in more books. I just started a new children's consignment sale tagging service. I could use the money to buy supplies. I'd like to start my own blog. I would buy some more craft materials so I can begin making products to sell. I would like to blog but dont know where to start. I am not in business so I would just save the money for the future. I am not in business, but my daughter is interested, so it would go to her. I have started a website, but need to get some followers so I would use it to promote my website! I have owned a number of blogs in the past, life got in the way, I would like to restart this with a few unique website ideas. I am not in business for myself and am pretty new at this blogging thing. I would like to know more about how it all works though. I have a blog and need all the help I can get to make it produce some income. I would use start up cash to take an online class in how to run a blog and monetization. I would like to sell my artwork. Thanks for the giveaway. I'd like to be a freelance editor and I'd use it for advertising. I am not in business for myself, but I would start up a bath and body business on Etsy! My mom and I have a antique store together. We do own rental houses, however I would like something just for me through the internet. I would like to make quilts to sell. The $100 would be great for buying cloth. I currently sell products online using eCrater. I would like a side business of raising and selling begonias. So winning the $100 would be a great way to start. I would spend the $100 on a beauty day for myself. I am thinking of opening an etsy store. I might start an etsy business. i'd buy a scentsy selling starter kit! I am an artist (painter and printmaker). I would love to open up an Etsy shop. I would probably spend the $100 on paint and some treats for my critters. I'm not yet but would like to have my own blog by the end if the year. I just officially started a business, but don't have any work yet. I would like to be a VA and am looking into the opportunities and the needs. In the meantime while I get that up and running, I am looking at alternative income streams to keep me afloat. I am sort of, but havent been very good at it. Id like to find something that I can relate too business wise. No, but I'd invest it in a business venture. I'm not in business & I have no idea what I'd do.